Regular readers may already have noticed that I am sucker for a subtropical plant. On a cold Sunday in February, whilst visiting London’s Chelsea Physic Garden, I found myself drawn in by the the scented warmth of one particular glasshouse, that which holds the garden’s collection of rare and threatened species from the Canary Islands and Madeira. Scrambling towards the rafters in the centre of a fine display was a climber that I was completely unfamiliar with. The label read Canarina canariensis, the Canary bell flower. Research reveals that this elegant climber is an endangered member of the campanula family that carves out a fragile existence in the diminishing laurel forests of Tenerife, La Palma, Gran Canaria and La Gomera. Unusually for a campanula, the Canary bell flower regenerates from summer-dormant tubers which send up long, scrambling shoots in autumn. These can reach 6′-8′ in length, wandering along leaf-littered ground or through supporting shrubs. The soft leaves resemble those of a thunbergia. 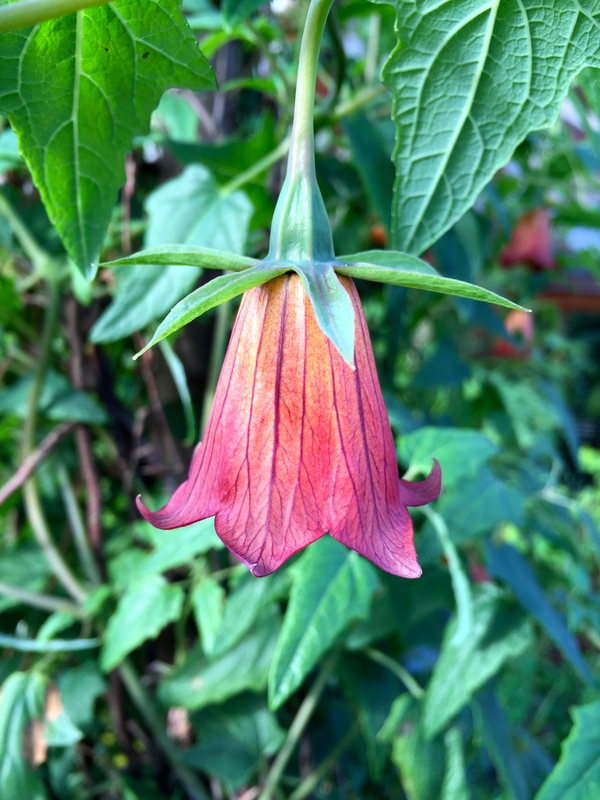 It’s in the winter that the bell-shaped flowers start to appear, divine but faintly reminiscent of a human organ with their fleshy tones and strongly contrasting venation, especially when back-lit. After flowering the foliage dies down and the tubers preserve the plants’ energy until growth resumes again in autumn. This is how Canarina canariensis has adapted to survive summer drought in its natural habitat. 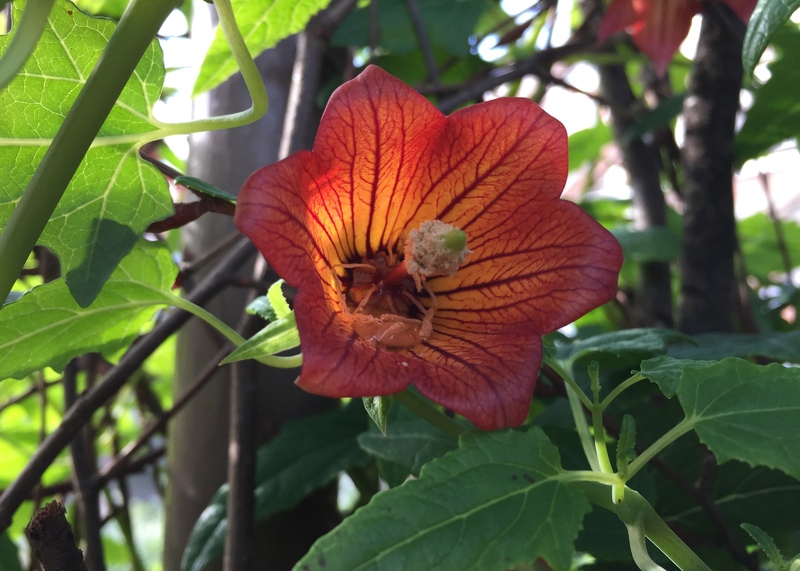 In the UK we don’t concern ourselves greatly with water shortages, but the Canary bell flower makes a wonderful winter flowering subject for a cool, semi-shaded conservatory. In summer the tubers can be stored in a dark, dry place until they are ready to burst into life again. Naturally, I felt compelled to track down my new discovery. I found that seeds were available from Jungle Seeds priced at £3.95 for 10. I will let you know how I get on with cultivating my island beauty later in the year. Raising a rarer and cherished plant from seed is probably one of my favourite exercises – good luck! Thank you. I keep checking the post box for my latest seed delivery. Tomorrow is planting day!